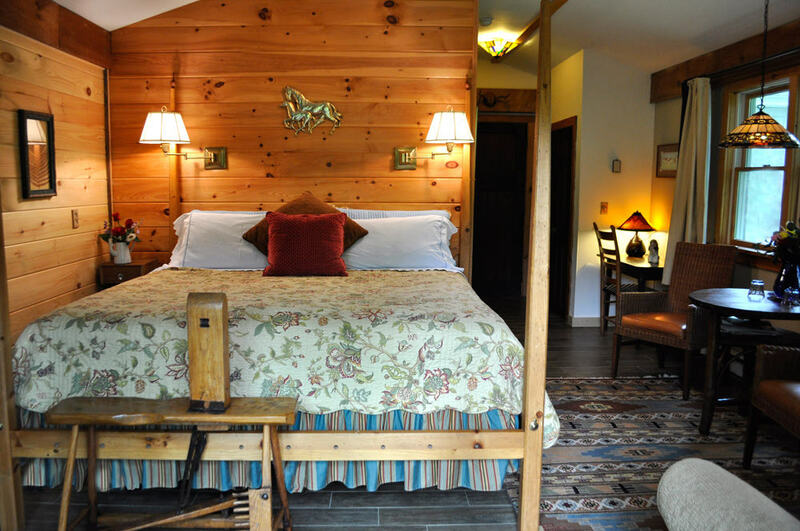 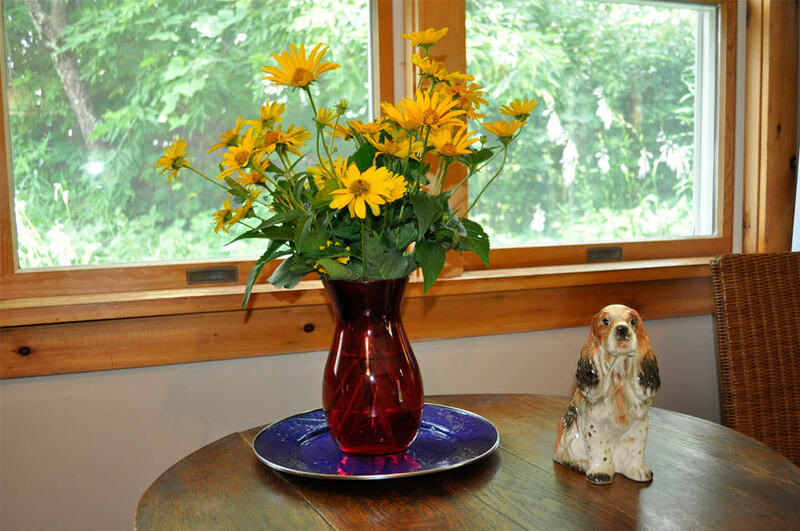 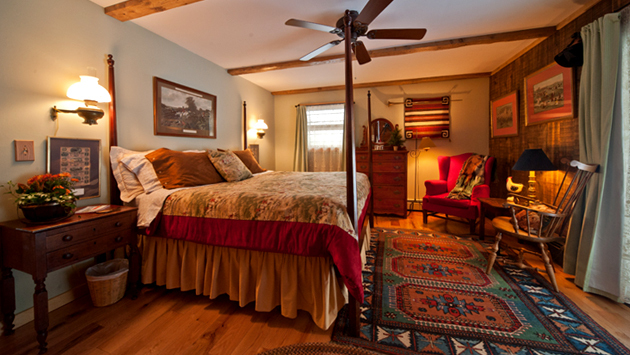 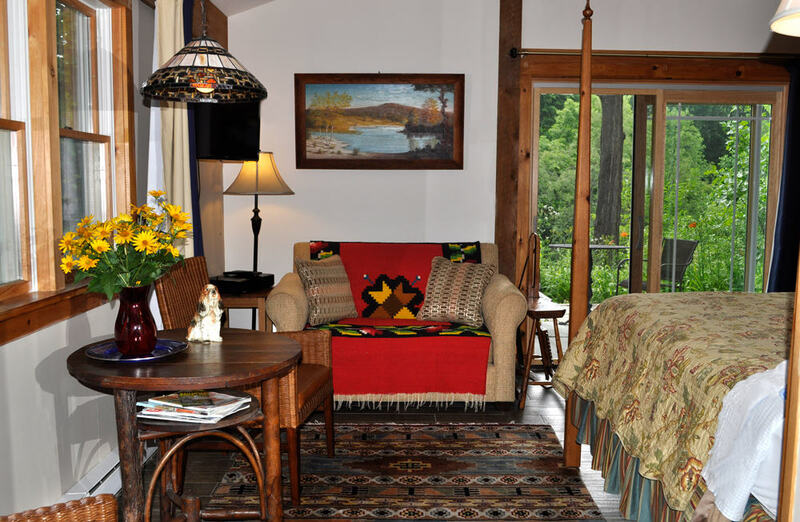 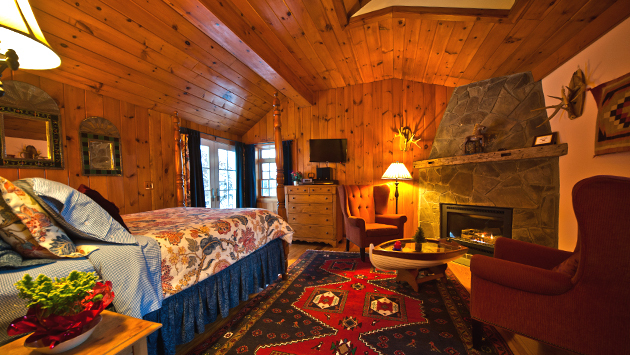 This room faces west to take in the sunsets, warm pine walls and high beamed ceilings add to the country charm. 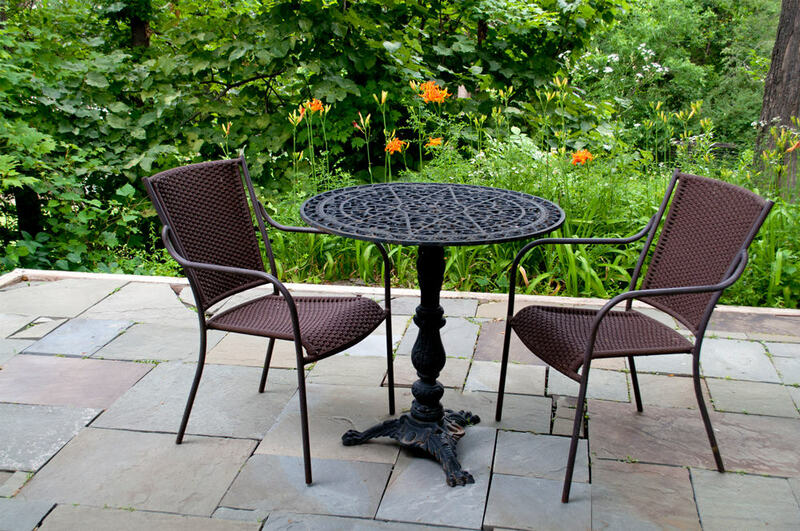 A sliding door leads to your private patio with a table and chairs for sharing your afternoon or evening beverage. 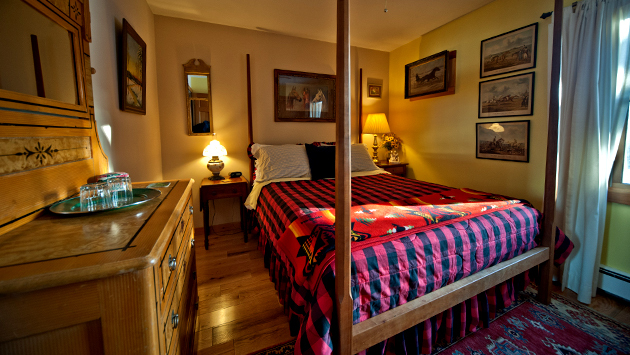 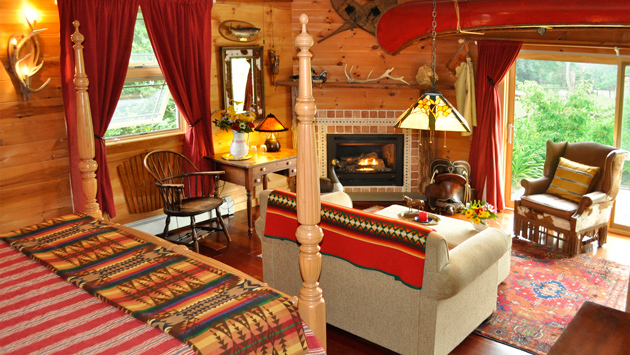 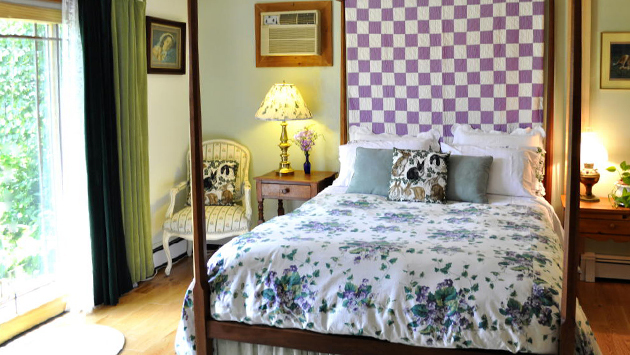 The room is furnished with a pine dresser, loveseat/sleeper, antique wheat table and chairs, and a Grand hand painted king size four poster bed, facing the sunset. 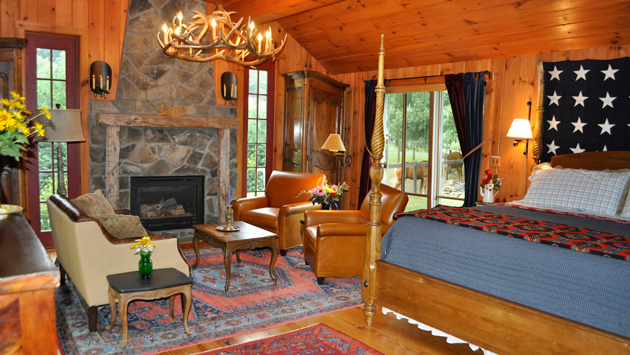 The private bathroom has a large shower, and a oak vanity.